When a casino robbery in Atlantic City goes horribly wrong, the man who orchestrated it is forced to call in a favour from someone occasionally called Jack. Only a few people know this man exists, some believe he’s dead and none know his true identity. Those are the closely guarded secrets of an exceptionally trained, experienced and talented criminal. But as he struggles to clean up the mess left from the bungled heist, Jack finds himself increasingly more visible. With the FBI and other interested, and deadly, people on his tail, he’s forced to use every ounce of his skill, ingenuity and instincts to survive. From the opening page this story hurtles along at a breathless pace. Jack is a mysterious character. Able to change his appearance, his voice and his persona in a moment, he is a true master of disguise. He’s attractive, smart and although more than capable of defending himself, he only uses violence when he deems it necessary (which in the course of the book is quite often). He also translates classics into English as a hobby when he’s not on a job. Although you know he’s a criminal, he never seems entirely bad, and has his own moral code by which he operates. At the start of the novel Jack reluctantly agrees to sort out the aftermath of a bungled casino heist as repayment of an old favour to the criminal mastermind Marcus. His brief is simple – find Marcus’ missing man and find the stolen cash. But as he investigates the operation, discovering what actually happened outside the casino that morning, and who else is after the money, Jack realises there’s a whole lot more to the situation than he first realised. Add into the mix the bright and dynamic FBI agent Rebecca Blacker, and the mysterious and deadly criminal kingpin ‘The Wolf’ and soon Jack is fighting just to stay alive. This rapid paced, nail bitingly tense action thriller has plenty of twists and turns to keep the reader guessing. This is a distinctive debut by 24-year-old novelist Roger Hobbs. 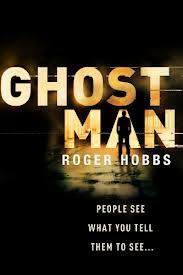 GHOSTMAN by Roger Hobbs is published in hardback by Bantam Press on 14th February 2013. Single or Multiple: what kind of a reader are you?